As promised I wanted to add more travels photos this year. Next year I would like to look back and see all the lovely places we visit, or at least some of them. Too often these mini-trips are simply forgotten. We have visited Ducketts Grove (link to official page) during the Christmas break. The weather was quite awful most of the time, but this particular day was beautiful, very sunny, but chilly.We found out about this castle, that technically isn’t a castle from this blog, when I saw it I knew I need to visit it. Even though it’s quite new, taking Irish standards – only 300 years, it is beautiful. Ireland is full of places like these. Some ruins are more impressive than others. I must say this one was one of prettiest I’ve seen. The walls are still impressive. Unfortunately, one part of the castle was closed, I was really disappointed. There is something charming about those grey-stone ruins. Before Christmas there was a Christmas market organized in the courtyard, I wish we could be there. It must have been lovely. On our way back we stopped at Bantiglass Abbey. 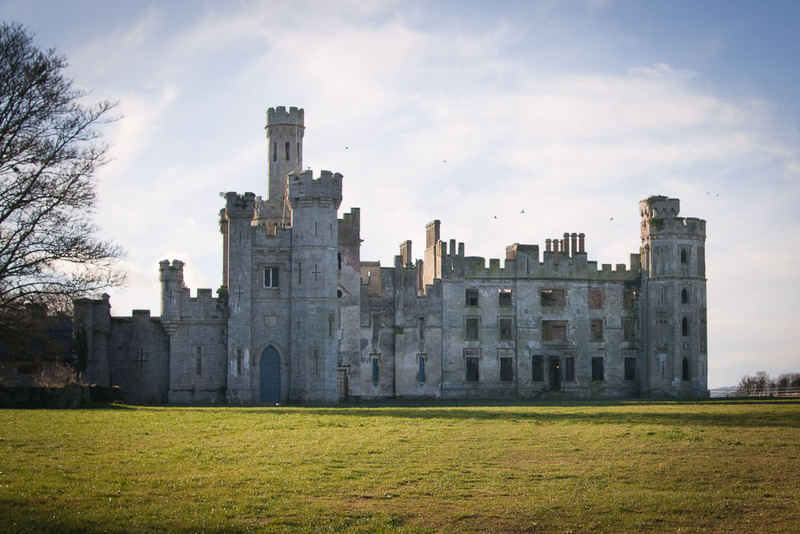 This abbey was built in 1170, so now you can understand why Duckett’s Grove seemed so new. As you can see the structure looks pretty well, taking into consideration it’s over 800 years old! And that’s just a few snapshots somewhere from County Wicklow. Posted in Ireland and tagged carlow, travels. Bookmark the permalink. Przepiekne zdjecia!!!! Nigdy nie bylam w Irlandi ale slyszlam od tych to tam podrozowali ze jest przesliczne i waro odwiedzic. Moze w niedlugiej przyszlosci zaplanuje male wakacji. Koniecznie post wiecej zdjec! Dziękuję Asiu 🙂 Irlandia jest piękna, dokładnie tak jak wszyscy sobie ją wyobrażają, tylko pada inaczej, wcale nie leje jak z cebra całymi dniami, tylko pogoda zmienia się czasem co 10 min i owszem pada sporo, ale to raczej 15 minutowa mrżawka a nie ulewa.